Young Tiger NTR’s latest blockbuster ‘Temper’ is continuing its solid run at the box office. Recently,this movie entered the 40 crore club and it is all set to become one of the biggest grossers in NTR’s career. This power packed action entertainer has collected stunning numbers in the overseas market as well . As per the latest update, this movie has crossed 11 crores in Nizam. Directed by ace film maker Puri Jagannadh, this movie showcased NTR as a powerful cop and his acting was widely praised by all sections of the audience. Kajal Agarwal sizzled alongside NTR in this film. 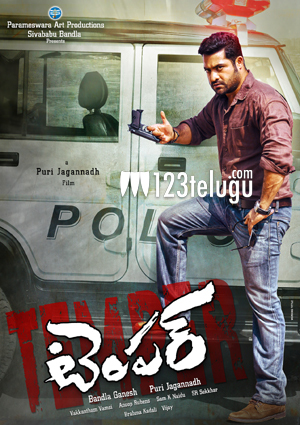 Bandla Ganesh produced Temper.